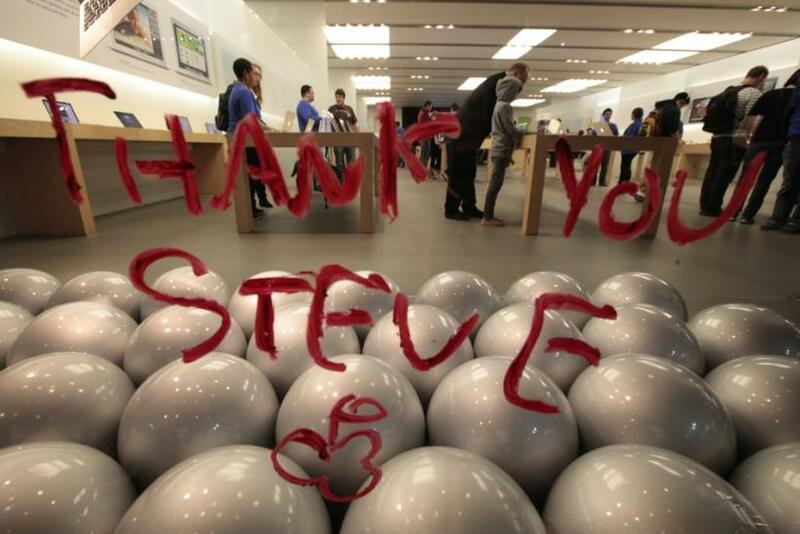 Steve Jobs is dead, but his legacy will live on for decades to come. It is impossible to overstate the impact his work had not only on the world of technology, but on the world as a whole. Here are the top 5 ways Jobs changed society. 5. He made PCs before they were PCs. Today, the term PC refers to computers that run on Intel processors and use Windows software -- in other words, pretty much every computer that isn't a Mac. But when the term was first coined, it simply stood for personal computer. The first Mac computers were known as PCs, because they were computers designed to be used by individuals -- and the Apple II series, designed by Steve Jobs and Apple co-founder Steve Wozniak, was in fact the first widely successful PC. Today's computers may be classified as PC or Mac, but they all evolved from the original PC prototype -- and we have Steve Jobs to thank for that. 4. He made computers simple. In the 1990s, Apple computers were held largely in disdain. The interface was too plain, too spare. It couldn't be customized. They couldn't compare to the computers Microsoft was making. But as the years went by, Steve Jobs began to win people over to his vision of a computer that was powerful but also intuitive, easy to use and highly functional. Apple's advertising mantra became, It just works. And it did. Users began to abandon PCs for Macs in droves as they realized that Macs froze less, glitched less, crashed less and were easier to navigate besides. 3. He made advertising innovative. Apple began to push the advertising envelope as early as 1984, in a famous commercial that ran during the Super Bowl: an athlete runs into a room straight out of a dystopian novel and throws a sledgehammer at a projector screen full of propaganda, and then the screen reads, On January 24, Apple Computer will introduce Macintosh. And you'll see why 1984 won't be like '1984.' More recently, there was the 66-installment Get a Mac ad campaign featuring John Hodgman as a stodgy, outdated PC and Justin Long as a sophisticated Mac. And, of course, there were the ads for the iPod and iTunes, with colors as bright and eye-catching as those on the original iMacs and theme songs from bands like U2, Coldplay and the Gorillaz. 2. He turned technology into art. Dell was right up there with Microsoft at the forefront of the tech world in the 1990s -- but Steve Jobs wasn't impressed. He once famously dismissed Dell's computers as un-innovative beige boxes, and went on to envision and execute a stream of products that combined power and functionality with pure elegance. In 1998, the iMac took everyone aback with its brightly colored sides, and a year later, users were delighted with the iBook's unique clamshell design. Since then, Jobs never stopped coming up with new products that were as aesthetically pleasing as they were technologically advanced. Never before had design been as important as hardware and engineering, but that is today's norm. Apple products are revered not just because they are powerful and work well, but because they look and feel good. 1. He connected every aspect of our lives. House Majority Leader Eric Cantor paid tribute to Steve Jobs with a statement both simple and profound: There is not a day that goes by, and often not an hour, that a Steve Jobs invention does not better my family's life. Before Jobs came along, no one had thought to integrate so many things -- computers, music players, phones -- into the same company. Jobs shattered the boundaries of what a computer company should do, turning Apple into a huge network of products that touched nearly every aspect of daily life. For everything we do, it seems, there's an app for that. We work and spend our free time on MacBook Pros and iPads, listen to our iTunes libraries on our iPods, talk and text and play games on our iPhones, edit photos and videos in iPhoto and iMovie. The Apple software suite is called iLife, and it is not much of an exaggeration.